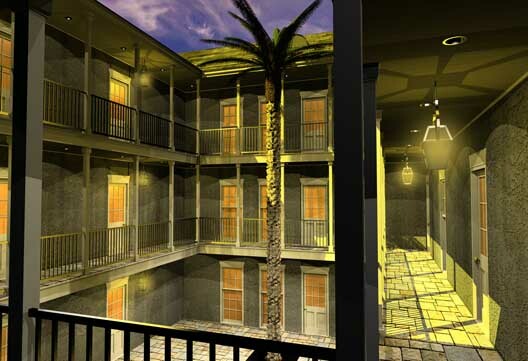 At the beginning of its construction in 2004, we prepared these digital 3D renderings of the Los Isleños Condominiums on Esplanade Avenue in New Orleans. 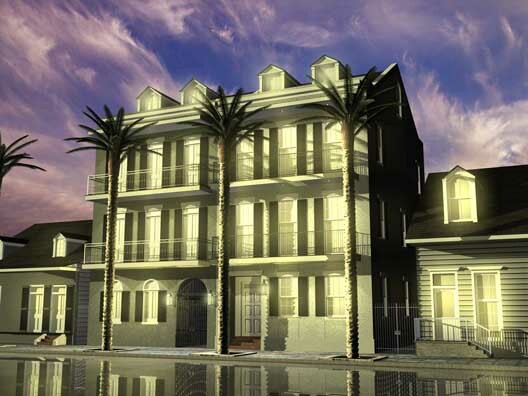 They are a sales and marketing tool, used to pre-sell the condominiums while the project is still under construction. 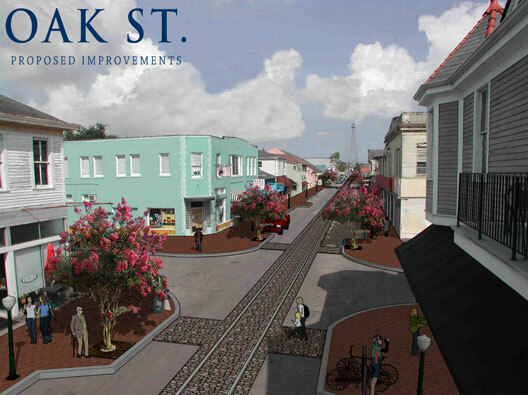 Two of our renderings were published in the Times-Picayune. 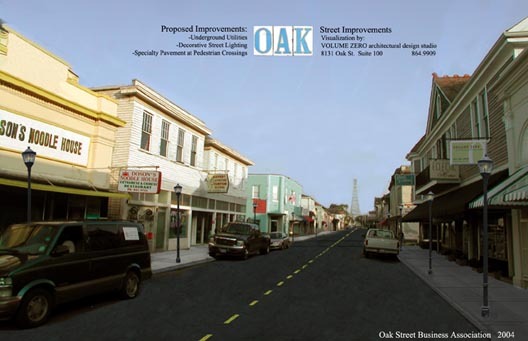 These renderings of prospective improvements to Oak Street were prepared pro bono for the Oak Street Association. 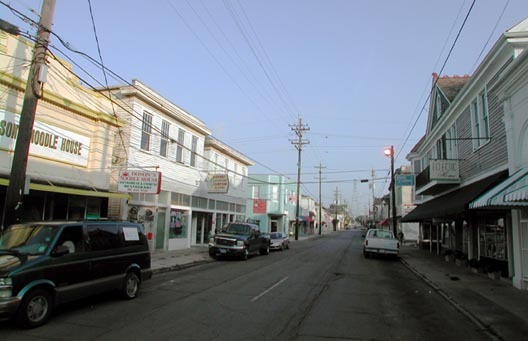 Proposed aesthetic improvements include the elimination of aerial utility lines, the addition of decorative street lamps, ornamental trees and street resurfacing. This is one of the study renderings used to visualize variations on a house design. 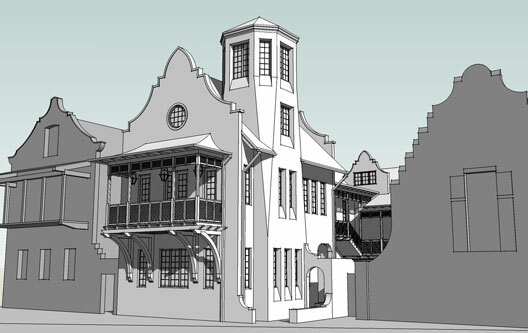 The existing neighboring houses were roughly modeled to study contextual relationships.